Individuals who are interested in pursuing a career that deals with religion should consider getting a theology degree. Those who are interested in how religion affects various aspects of the world and want to learn about the past and present of theology would benefit from this type of degree. Theology degree programs provide in-depth study of Christianity and many programs also focus on other religions and how they affect the way people live. Most programs also discuss the history of religion and theology’s influence on various other fields. Theology degree programs are offered at all degree levels from associate to doctoral, and many programs enable students to select a specialty in the field, such as ministry, divinity, religious studies, biblical studies, and Christian leadership. While coursework varies by programs, students in theology degree programs commonly complete courses in the Old Testament, New Testament, contemporary Christianity, history of Christianity, pastoral ministry, church planting, pastoral counseling, and philosophy. Some programs require students to complete practical learning experiences. Theology degrees provide a wide variety of benefits, including a thorough knowledge of religion and its relation to the world. Graduates are prepared to discuss religious topics in various settings, such as churches, schools, and other religious-affiliated organizations. The degree also opens the door to a large range of career options. Those looking for schools that offer the best theology degrees should think about some helpful characteristics to create a list of choices. The most important feature is if a school is accredited because accreditation proves that an institution has been evaluated against specific standards to offer top quality academic programs. The ranking of a college or university is also useful and numerous publications rank institutions according to an array of factors, like faculty qualifications and financial aid programs. Additional aspects students may want to look into include program requirements, student to faculty ratio, instructor office hours, and academic resources. Examples of the best online theology degree programs include Liberty University Online, Ohio Christian University, and Grand Canyon University. Liberty University Online is a leading Christian institution and it offers various online theology degrees at the associate, bachelor’s, and master’s degree levels. Ohio Christian University provides students with the chance to gain an in-depth understanding of theology and gain the necessary leadership and oratory abilities to pursue a career in ministry. It offers an associate degree in Christian ministry and a bachelor’s degree in Christian leadership and ministry. Grand Canyon University’s online bachelor’s and master’s degree programs focus on a practical learning approach. 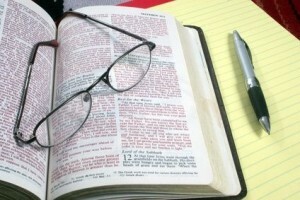 There are many different theology careers for individuals who complete theology degree programs. Examples of potential options include pastors, chaplains, and religious writers. Pastors oversee and lead services and the everyday operations of religious organizations. Chaplains provide religious support to individuals who are not able to attend services in traditional settings. They commonly work for the military, hospitals, colleges, and prisons. Religious writers work for various publications writing about theology and current religious topics. The theology degree salary differs significantly on many different factors, such as location and education. In general, pastors make a median salary of about $86,000 a year; chaplains earn around $51,000; and religious writers can expect to earn around $46,000. Those who complete theology degrees have different career options to discuss and spread religion in various fields.